One of the hardest parts about recovering from a ski injury is making that long journey back into an active lifestyle. Regaining strength, flexibility, balance and confidence—the backbones of skiing—requires dedication and time. So, of course, there’s an app for that. 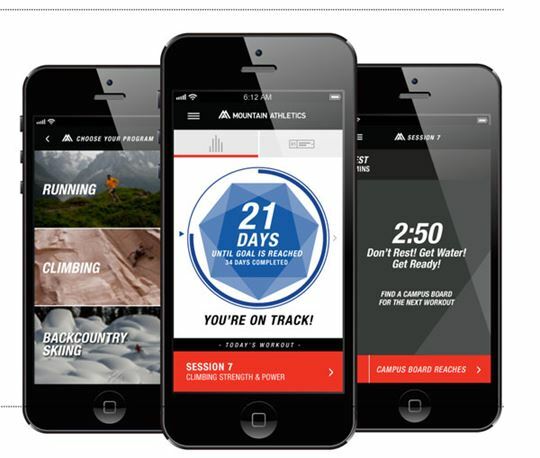 The North Face and its Mountain Athletics app helps to focus on rehab and facilitate a quick return to the mountain. With workouts specific to backcountry or all-mountain skiing, exercises can be tailored to specific ambitions—including injury recovery. The app lets you organize workouts and track your performance throughout its 40-day regimen. Not surprisingly, the hardest part to any healing is remaining committed to the grind, but this app should help. Most of the workouts are inspired from cross-fit and don’t require equipment. From Scotty Bob’s to Poor Man’s Leg Curls, the variety of workouts hits all the important muscle groups. And for the social-media enthusiasts, the app will even post your progress to Facebook—all building up to the epic pow-slashing picture signifying the hard-earned return to the slopes. The free Mountain Athletics app is currently only available for iOS devices at the App Store.